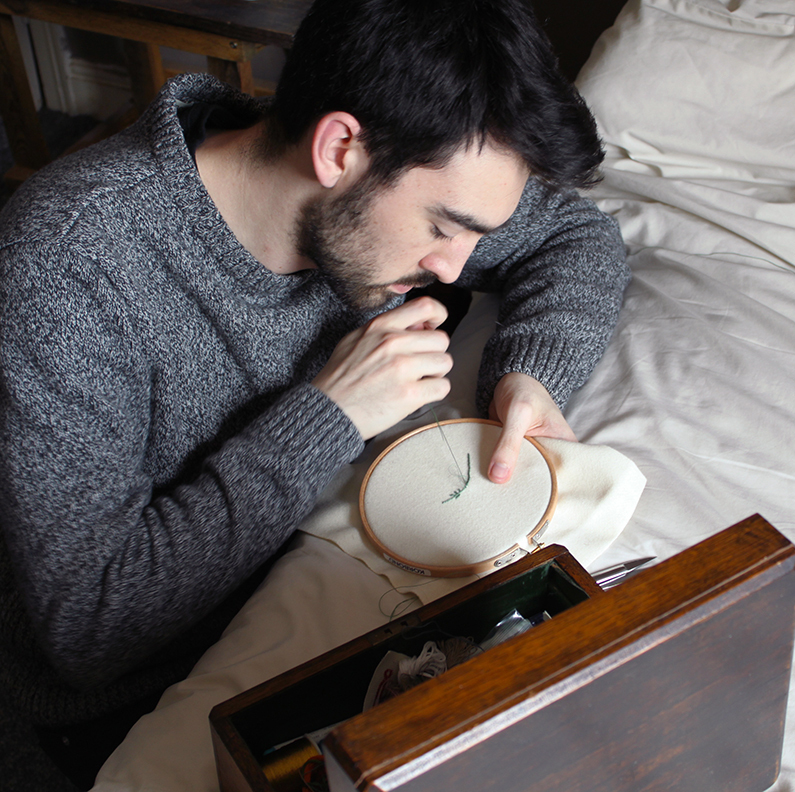 Adam Pritchett: textile artist & sewing enthusiast, BA in Fine Arts – Coventry University, maker and craftsman behind The Old Needle, perpetual bookworm and murder mystery fan. 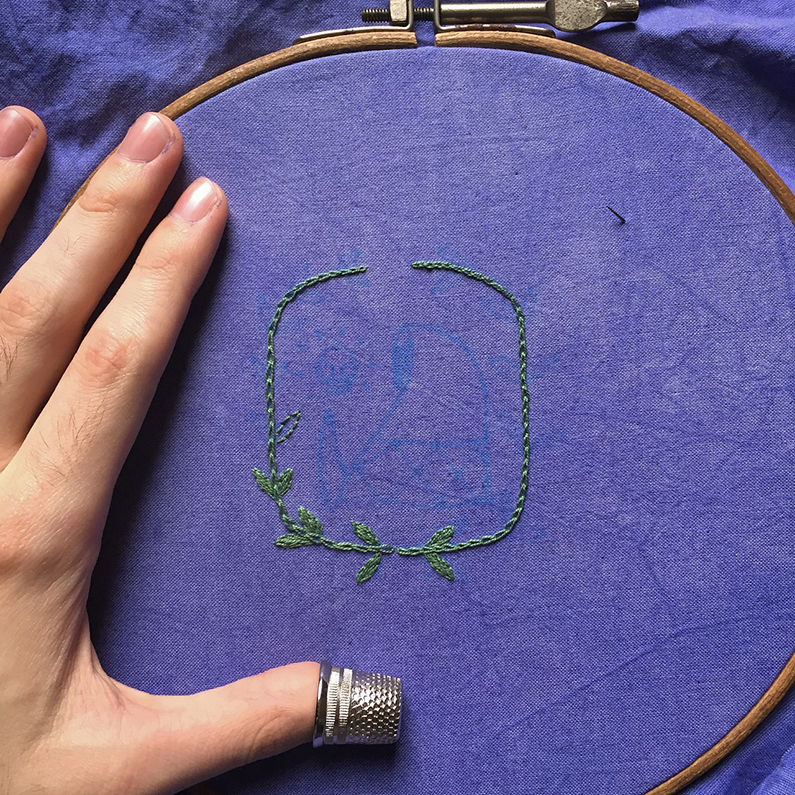 Most of your embroideries are tiny. 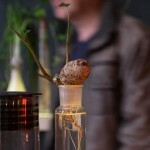 What makes working on such a small scale so interesting? 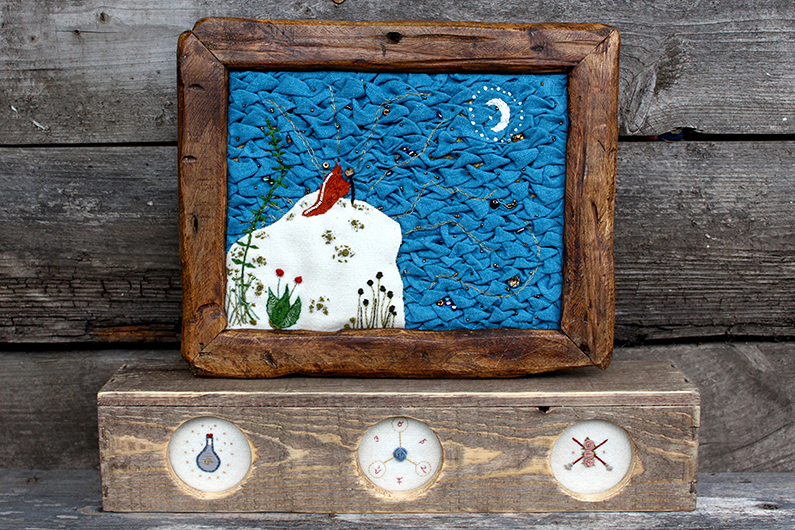 I think working on a small scale, for me, makes things feel precious and like a miniature treasure that you want to touch & hold in your hands. The bigger pieces that I have tried to make haven’t translated as well, you loose some of the intricate details that I enjoy so much about smaller scale work. Legend and folklore feature heavily in your work. Do you elaborate on existing tales? What sparks your interest? It does, I have always read a lot of books and stories, and that magic imagination is something I try to capture with my sewing. 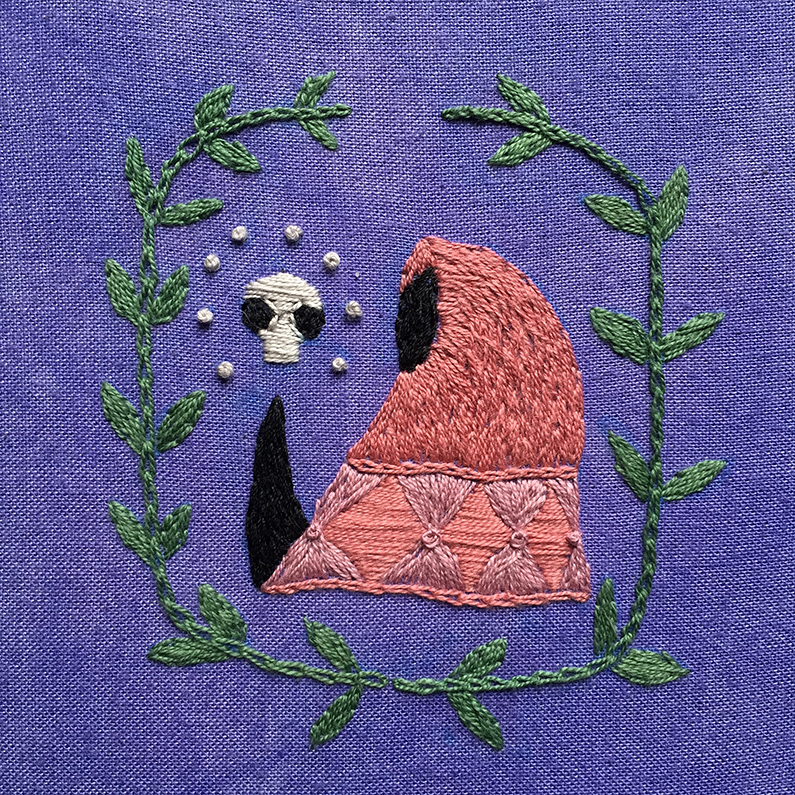 There’s a long history with needlework of telling stories—so whenever a particular image or aspect from a folktale or a story sticks in my mind I always have a need to stitch them. 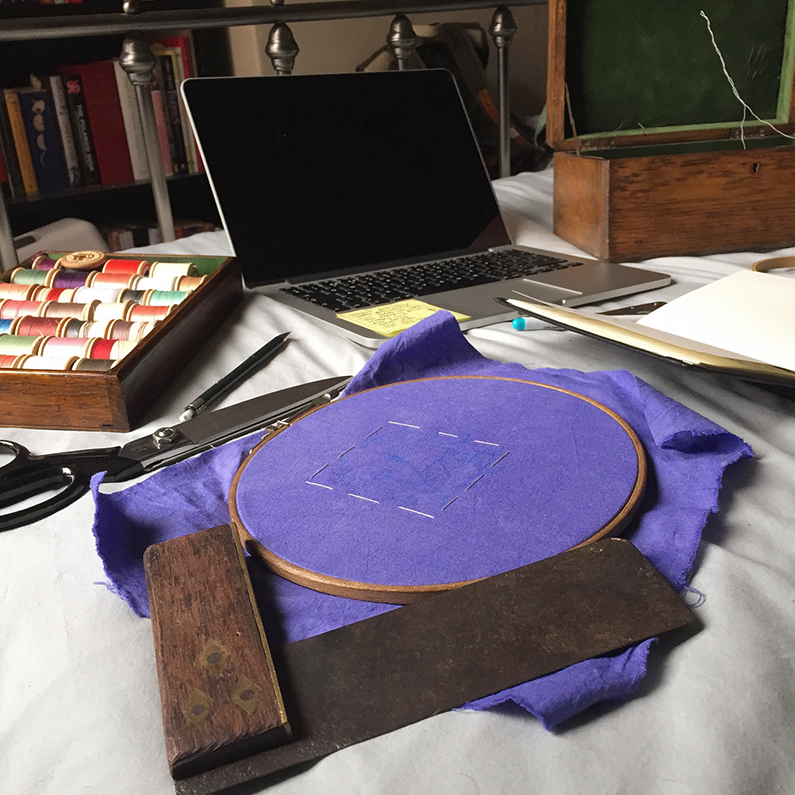 Other times, I’ll just start sewing and see what takes shape, often I find I’ve sewn a recurring idea from a tale I had forgotten about. But I do love fantasy movies & games too, and can’t help a running theme of wizards and elemental spirits! So many sources inspire the themes I stitch, but it usually results in myth or magic of some description. Wizard of Ages. 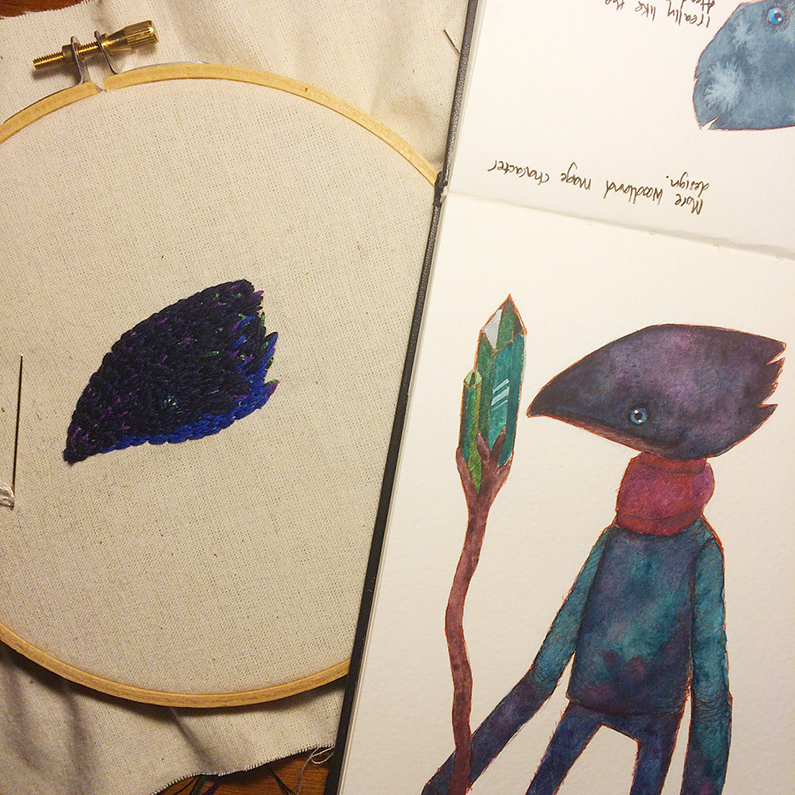 Hand dyed fabric, with embroidered wizard. You live in a beautiful part of the world. 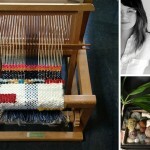 Would you like to share some more about it and how it inspires you and your work? I am very fortunate where I live is surrounded by ancient woodlands and history, just behind my house in Warwickshire, England, is a 12th century castle ruin. 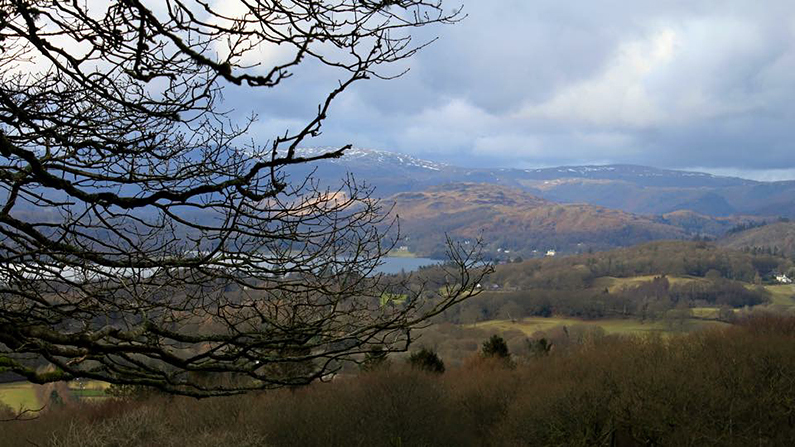 The local area is quite rural and I’ve grown up walking in the woodlands – and the time I get to spend with my partner Matt, in the Lake District where he is from is even more stunning. All of the nature and scenery is really important to me, when I need to escape from my sewing box to recharge my batteries there’s nothing better than getting lost in the woods. Black & White. 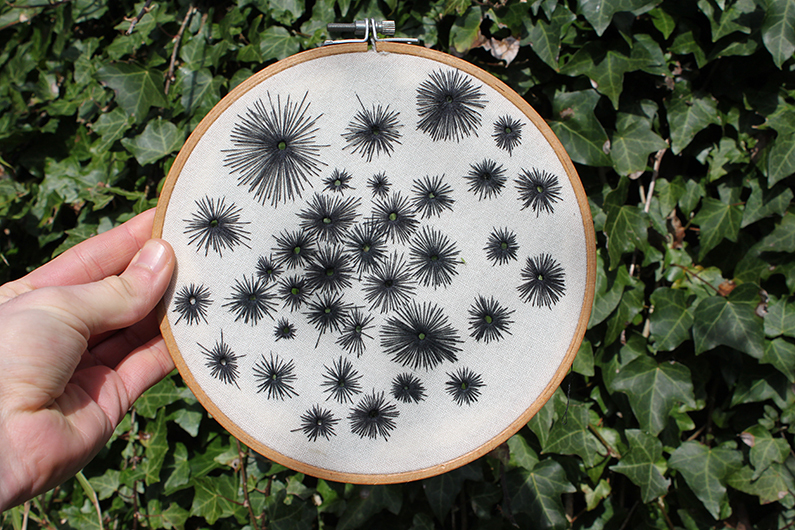 Hand embroidered onto wool fabric in black thread. You seem to really value handmade and well made vintage. 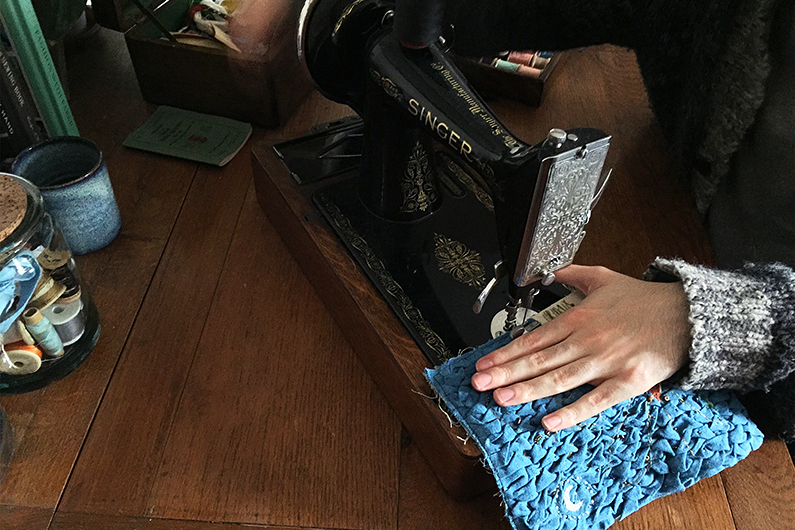 You even restored an antique 1930’s Singer sewing machine. Care to elaborate on why that is so important to you? Yes! 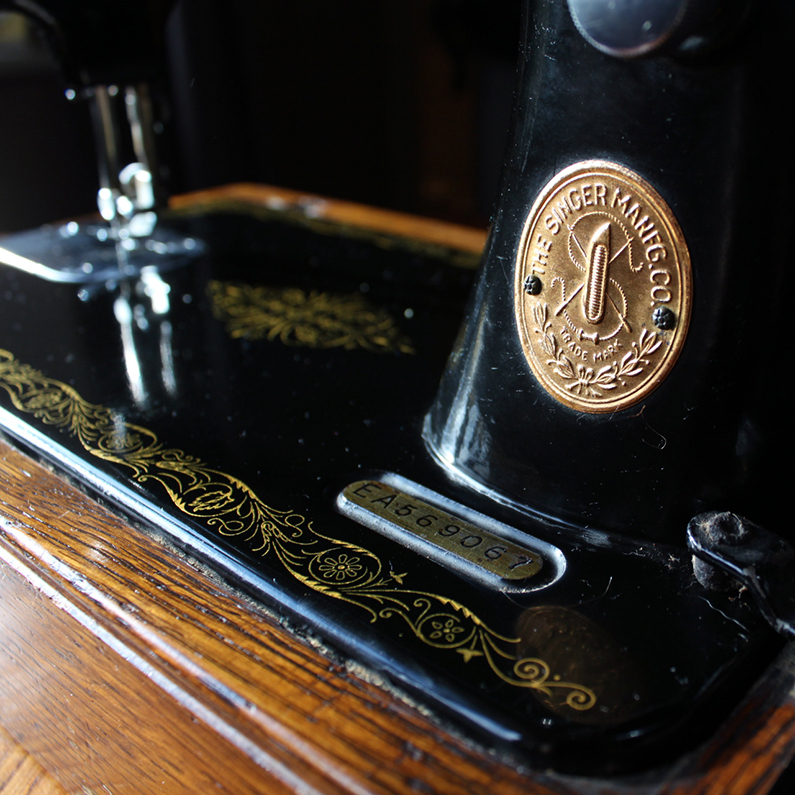 The sewing machine was a wonderful Valentines gift from Matt, and it was in such good condition for it’s age. I took it apart and scrubbed it up, and now it works great! I have always loved antiques and items that have a history, things that were built to last generations are so important to care for. 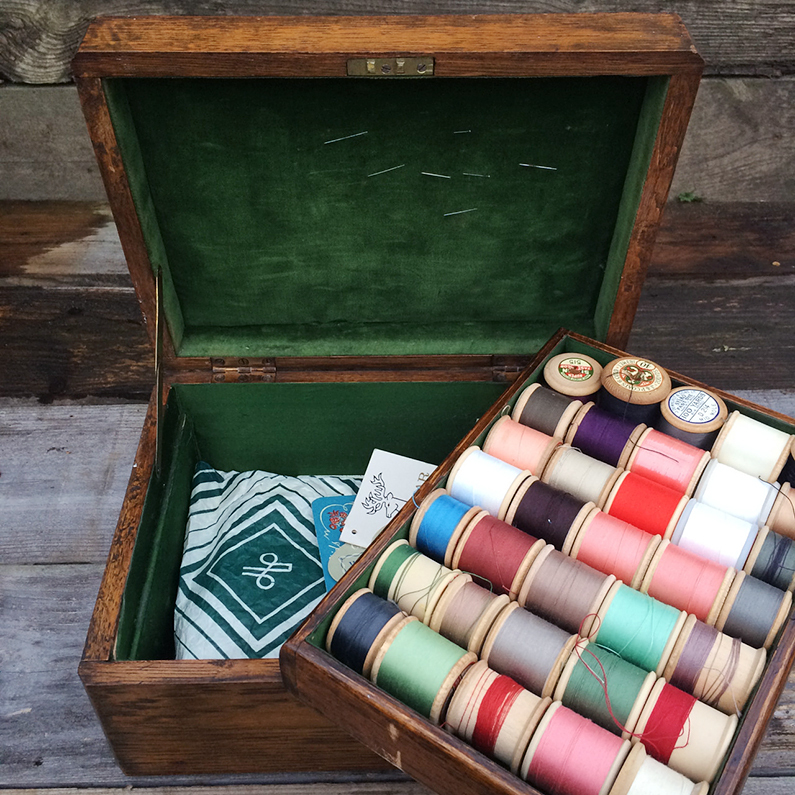 My sewing box is 40’s oak and it came full of old threads and needles, and it gives me so much joy to think that I am making new things from a part of another persons history. 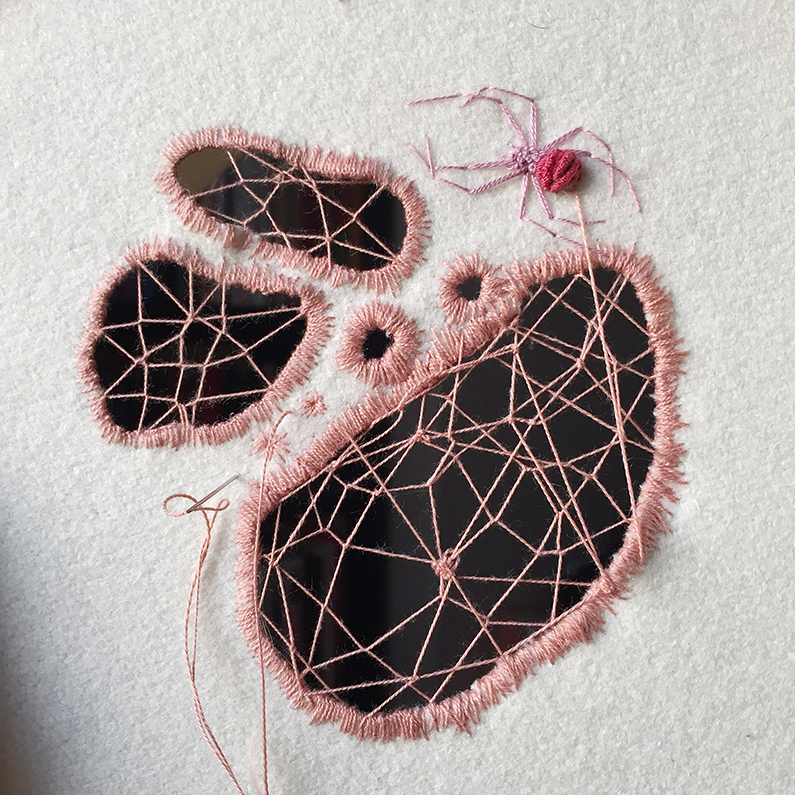 Let’s talk about your latest project for the Light Grey Art Lab ‘Patches and Stitches’ show, and are there other things you’re working on at the moment? 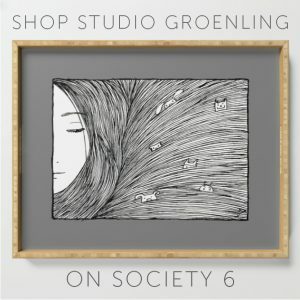 I was so excited to be involved with a LGAL show, Patches + Stitches is a dual exhibition of badass patches, and traditional sewing techniques. 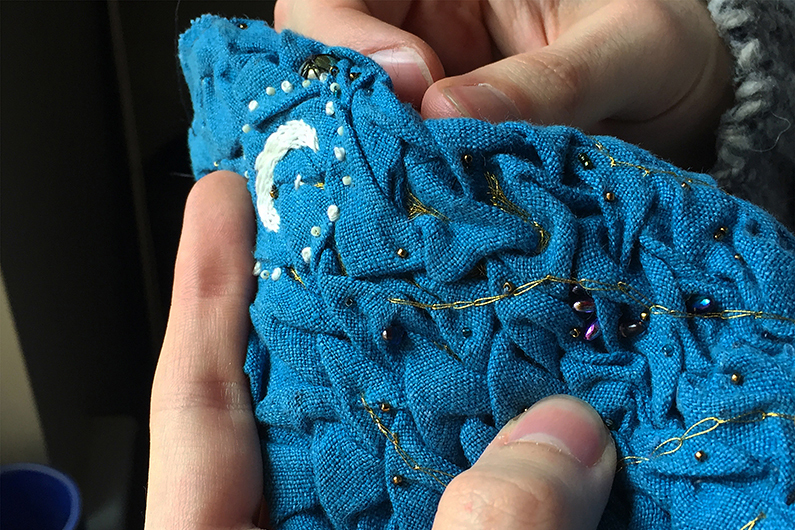 The piece of work I’ve made is for the stitches side of the show, and I wanted to experiment with textures and different sewing. Work in progress on the LGAL piece. Stitching the edges on the old Singer sewing machine. 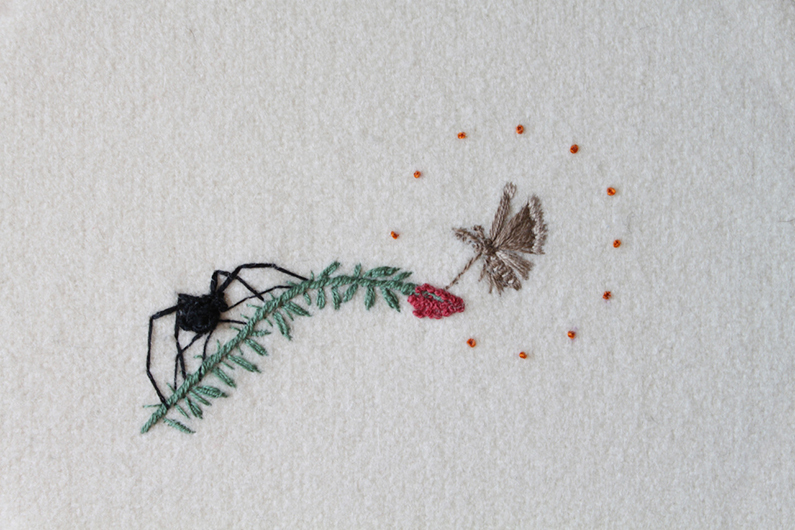 I am currently starting a series of insects that began with some spiders that I’m expanding to different creepy crawlies, I really enjoy the juxtaposition between animals that people wouldn’t associate with soft fabrics. 8 Legged Repairs. Work in progress. So how does the collaboration part work: do you work simultaneously or does one start and just hands it over the other – no fights broke out? Aha, no fights so far! We’re both lucky in that we each have different skills, which works well on collaborative projects because we can each work on different areas. We would generally sit down when we both have some down time together, talk out some ideas for a character/story/theme, then decide how to divide up what will need to be done. Broin the Forest Mage. Adam’s patch and Matt’s illustration. Matt is an incredible sculptor, and naturally paints everything. I always make the textile elements, and small details, like the carved wooden staff that Broin carries – normally we work on our prospective tasks at the same time, so if changes need to be made we can adapt them as we go. 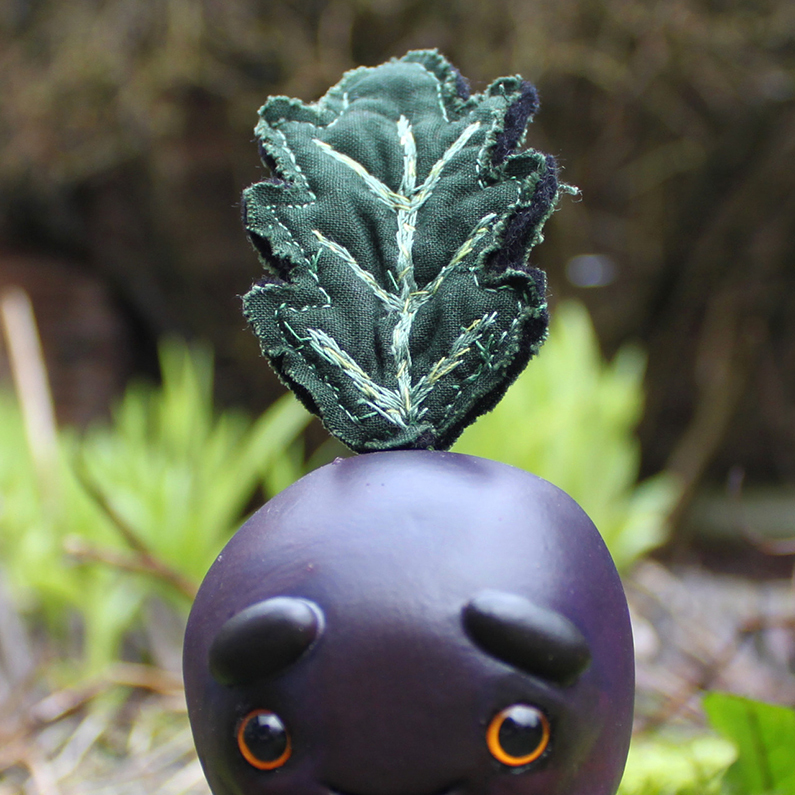 Sprout Boy. 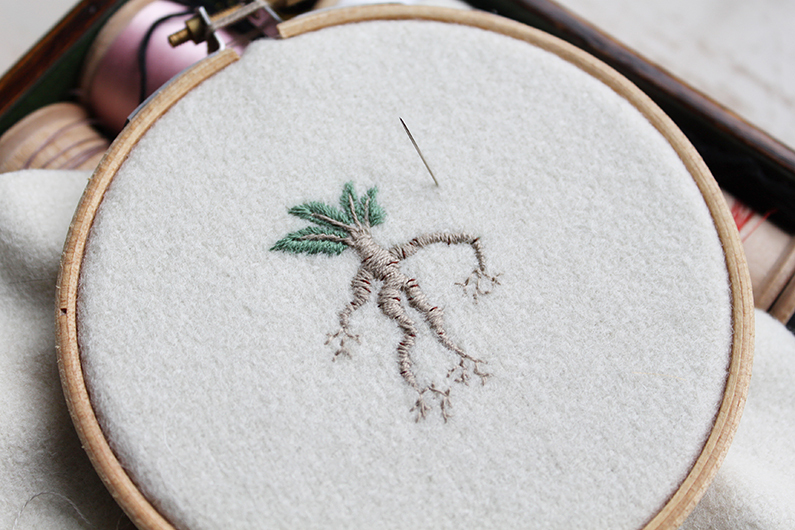 Embroidered leaf by Adam. We’re currently plotting out a new character at the moment, so keep your eyes peeled! Broin and SproutBoy out on adventures. Want to see more from Adam? 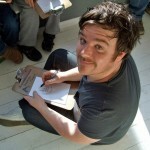 Next week in part 2 of Nature & Folklore, we’ll be talking to Adam’s partner Matt Hayton, illustrator/bookbinder/adventurer. And get to know what Adam and Matt are plotting for their latest collaboration.